Hodgdon Yachts employees gave 150 toys to the Toys for Tots program in Lincoln County, Maine. 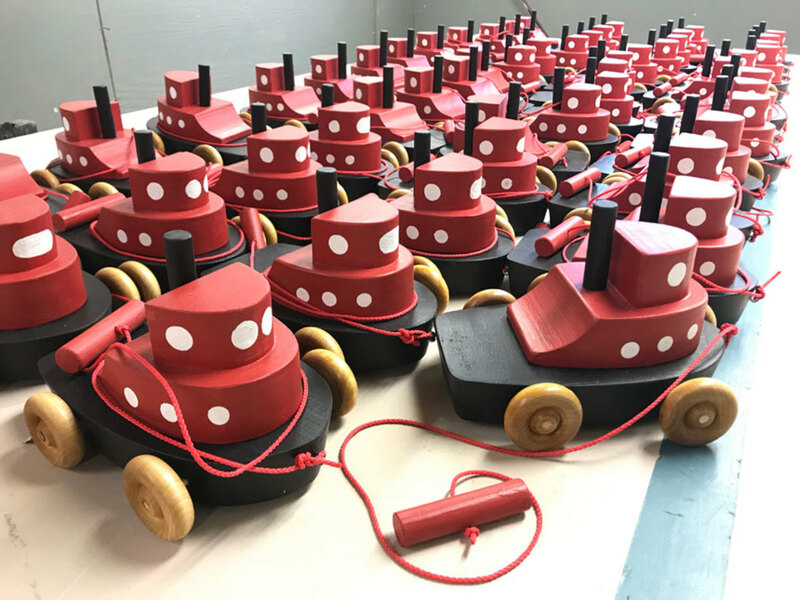 The toys were not cheap plastic breakables from the local dollar store, but bright-red tugboats, black puffins with flapping feet and wood blocks that the staff made over six weeks in a “toy shop” at Hodgdon’s facility in Southport and Damariscotta, Maine. Founded in 1816 during the clipper-ship era, Hodgdon is America’s oldest boatbuilder. Chief executive Tim Hodgdon started a Toys for Tots program in the 1990s, but when the yard got busy with new builds and refit work, it was sidelined. Every Wednesday beginning mid-October, the staff opened a “toy shop” to build the toys. Carpenters started with raw wood, and other staff members sanded the pieces so they could be assembled and painted. It was a time-consuming process, according to Hammond, as toys comprised many pieces. The tugboats have wooden wheels, and the puffins’ feet flap up and down as they are pushed along. 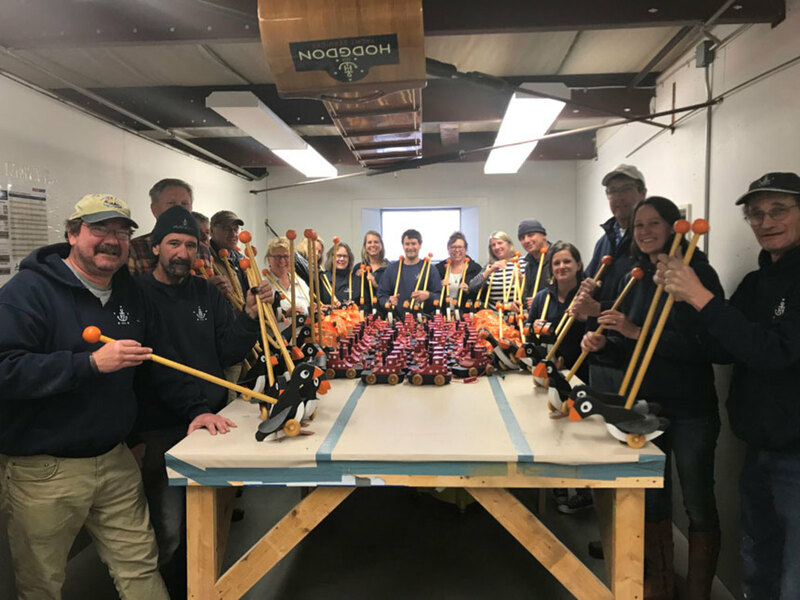 About 90 percent of the staff, from the production floor to the offices, donated time, including members of the Hodgdon family. 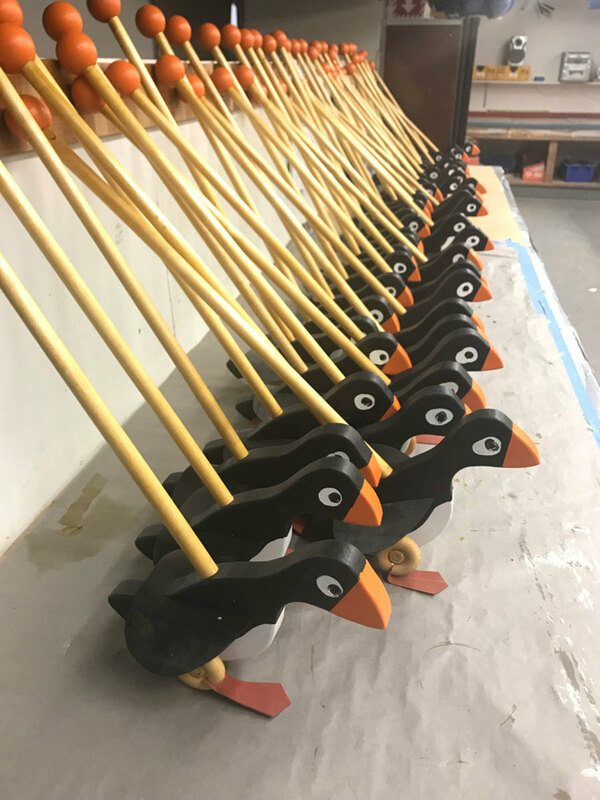 The company paid workers for an hour to build the toys during work hours if they donated an hour to the toy shop after hours. By the end of November, 150 toys were painted and ready to go to children in Lincoln County whose families are unable to buy presents.